You will receive a pe-wedding consultation by phone. 4 hours reportage and group wedding photography. A DVD of high-resolution images. An online password protected gallery to share with friends and family. Albums, prints, frames etc. can be ordered as extras. up until your first dance. Two wedding photographers to cover your day. 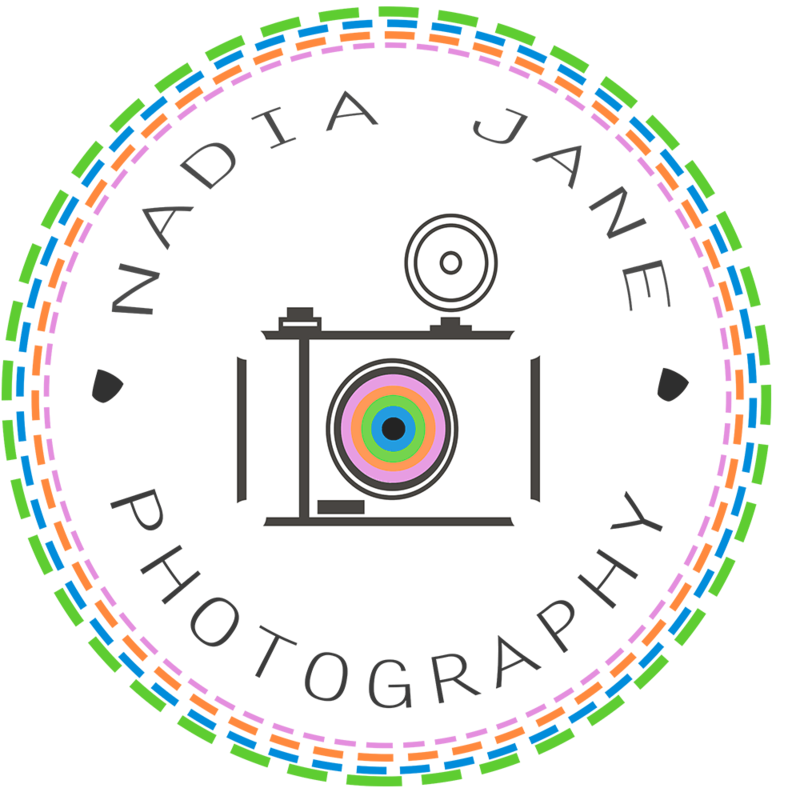 Nadia Jane will photograph your wedding along with an assistant whom I have worked with many times and am confident in there work. You will be getting a truly personalized service from someone who does care how your photos turn out. And has the personality to make your day enjoyable. No, my packages are all inclusive. The only extras added are traveling costs for outside of my region, these would be discussed in pre-wedding meetings or telephone conversation. I use a second photographer for this reason so that if anything were to go wrong we would have back up. ‘People and emotion’ I classify myself as a ‘portrait photographer’ My soul aim is to capture your personality within the story of your wedding. I can pose you if required and remain candid also, Classic and contemporary or modern are all part of my style, but generally it is always a mixture of everything. This way you don’t limit your possibilities. It is not essential but would be greatly appreciate as Wedding photography is extremely demanding and long hours, This is your call. CAN YOU DO A ‘CUSTOM’ PACKAGE? Extra time is charged at £50 per hour. This includes all editing and retouching and my assistant. My unlimited package is a true unlimited package, meaning you will have us right up until the first dance and after.. It rains at a lot of weddings here in the uk. you need not worry about this, we will have a backup plan for every wedding we do. I HATE MY PHOTOGRAPH BEING TAKEN? Relax, if you think of my job then you would realise 95% of people I photograph don’t like their photograph being taken. Wedding photography is not only about being technically adept at taking photographs; you also need an outgoing relaxed personality. Yes I will ‘pose’ you but I will do it in a way you won’t even notice. My job is to get your personalities out in the photos. You don’t get that by bossing people around and making them feel uncomfortable. Yes you will get two photographers with all of our packages. This is impossible to say, as every wedding is different, but you will receive unlimited images taken on the day, and I take lots of photos! Remember with me you will get all photos edited and in jpeg. DO WE GET HIGH RESOLUTION AND WHAT DOES THAT MEAN? All the photos you receive are in high resolution. Generally these are 4500 pixels on the longest edge. Four times the resolution of a ‘full HD’ TV, these can be printed to very large sizes if required. You will need roughly 20-40gb on your PC to fit them on. No need to get proofs, with my service you receive every image I take on the day minus eyes closed ones. I also us an online gallery service to share the images with friends and family. I use a two-part process, we edit every image taken on your wedding day in ‘Lightroom’ for colour, clarity, contrast, to make sure every photo you receive is perfect. We remove only eyes closed and blinking photos. We then pick out the best 10% of quoted images, generally the best photo from each ‘set’ taken into Photoshop, to make sure you look your best, we use the latest techniques and processes. Please note: any special editing requests have to be asked for. WE WANT A WEDDING ALBUM HOW MUCH WILL THAT COST? Albums can be sourced from many suppliers. I only use reputable suppliers. My suggestion through experience is to receive your photos, pick your favourite’s. Then book in a time to discuss the best option for your personalized wedding album. Tell me your budget left after the expense of a wedding. I guarantee we can source you the best album for your hard earned money. Standard Ten page, Twenty side flush mount album starts from £150. I always suggest we meet and get to know each other, you can view my work and we can discuss the plan for your big day. Every wedding is different, so we can design a unique plan tailored specifically for your wedding day. Sometimes it is not possible for clients to meet, don’t worry we can talk via email and Telephone and still get the best plan for your wedding day. Just send me a confirmation email stating that you would like me to photograph your special day, I will then send my Terms and Conditions to you with all the deposit and payment details enclosed. I will also send you our fantastic little ‘Helpful Hints’ guide to help with the planning of your wedding day. I only require a £100 deposit to confirm a wedding date.